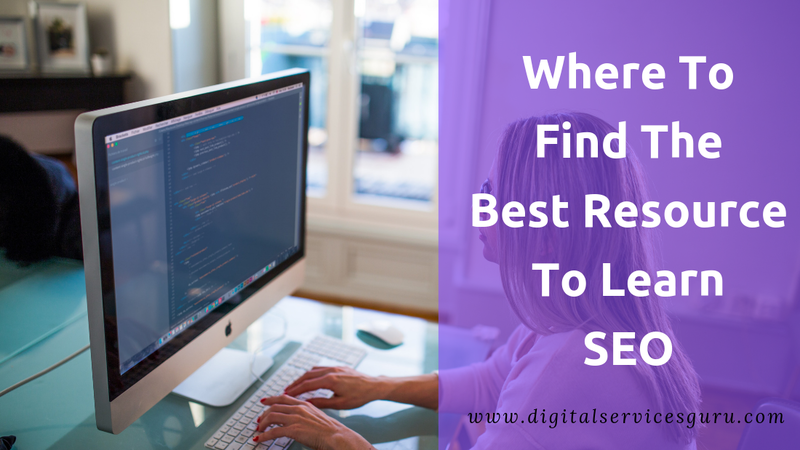 Where To Find The Best Resource To Learn SEO in 2019? 22 Mar Where To Find The Best Resource To Learn SEO in 2019? Search engine optimization is always the most effective technique in the world of digital marketing. Without the right tricks and techniques of SEO, the desired result will not be easily achievable to you. As one of the budding digital marketers, you may undergo a comprehensive SEO training course. Still, there are several things to learn to increase your knowledge base on SEO. Online platforms have different resources to help you in growing mastery over SEO. We have talked about those resources for you. The search marketers love this blogging site, as it provides them with the latest news, guides, insights and analysis on the SEO industry. You will also get articles on content marketing, PPC and SMM. You can visit this site regularly to find interesting tips from SEJ founder, Loren Baker. This site also runs webinars on various topics. This is another highly trafficked platform to present you with the updated information on SEO. Jennifer Slegg, the editor, has also revealed the latest algorithm of Bing and Google. It is a personal notebook of Barry Schwartz. However, as Schwartz has written everything about SEO, this site has become one of the best resources to the marketers. Schwartz spends long hours every day to give you updates on SEO trends. You will also get the personal opinion of Schwartz. Danny Sullivan, a very influential SEO professional, has launched this site. You can find the breaking news on the present search industry. Search Engine Land has a team of editors, who share various tricks and tactics. You can become one of the free subscribers to get their newsletters regularly. Google has offered this resource for you to learn SEO early. You will get the news on ranking and crawling rules. You will be able to find out when Google adds fresh features to the natural search results. You may also browse the information on the Search Console and various tools. This is one of the free resources to learn SEO. You can find blogs on on-site SEO, visibility, ranking, local SEO, site audits, link building, SEO analytics and mobile SEO. Several marketers have chosen it has the best instructional platform. The information at this site is easily comprehensible. You will also learn about tools and various other SEO resources. It offers a free trial for one month. Then, you have to pay for its premium service. You will get video-based tutorials to learn SEO, Java and various other things. To increase your interest in SEO, you may also take part in conferences. For instance, Engage Conference in Poland discusses the topics, like SEO, online content and web interface design. On this year, SEO professionals will also join Advanced Search Summit in California. Brighton SEO is another one-day conference on the search summit. Thus, choose any of the above resources to strengthen your skill in SEO techniques.